The potential use of the Spinsolve benchtop NMR spectrometer in drug analysis is demonstrated in a paper by Ben Bogan and Sarah Moore, published in Forensic Science International. 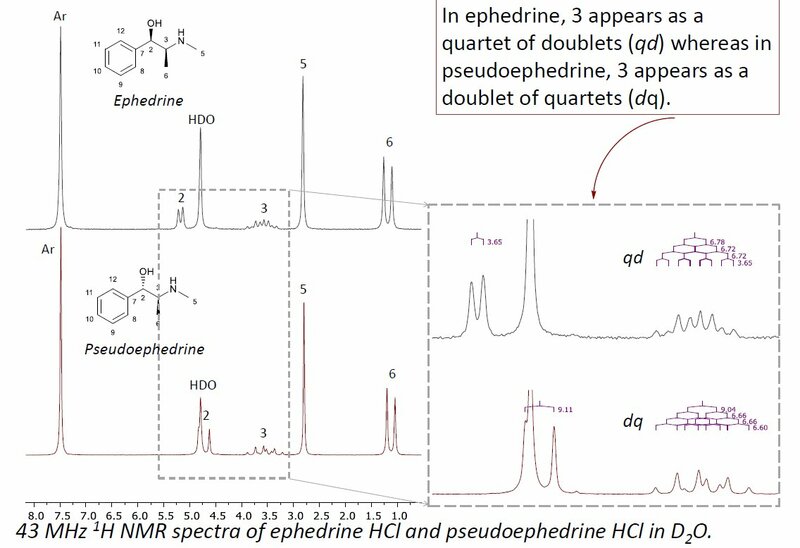 In their study, the authors evaluated the use of benchtop NMR spectroscopy in the analysis of solids and liquids used and/or produced during the HI reduction of pseudoephedrine. The study focused on identifying organic precursors and phosphorus containing compounds used in and/or produced during the manufacturing process. Samples taken from clandestine laboratories, where this synthesis process was suspected of occurring, were also analysed and evaluated. Benchtop NMR was able to distinguish between ephedrine, pseudoephedrine and methamphetamine as the free base and hydrochloride salt. This technique was also effective at identifying and distinguishing between phosphorus containing compounds used and/or produced during the manufacture of methamphetamine. Benchtop NMR was also determined to be effective at analysing samples from suspected clandestine laboratories. The benchtop NMR was able to identify between phosphorus containing acids, or the equivalent basic anion, used or produced during the manufacture of methamphetamine (i.e. hypophosphorous acid, phosphorous acid and phosphoric acid), including samples taken from suspected clandestine laboratories in New Zealand.